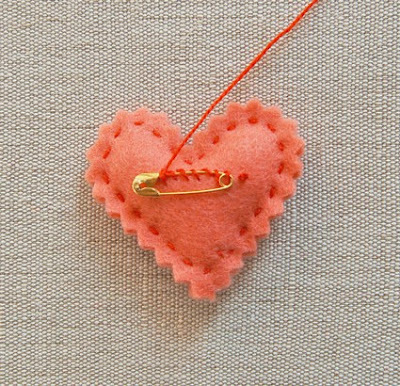 This is the latest inspiration photo for the current Paper Smooches Sparks Challenge. I went for more a red than peachy pink. 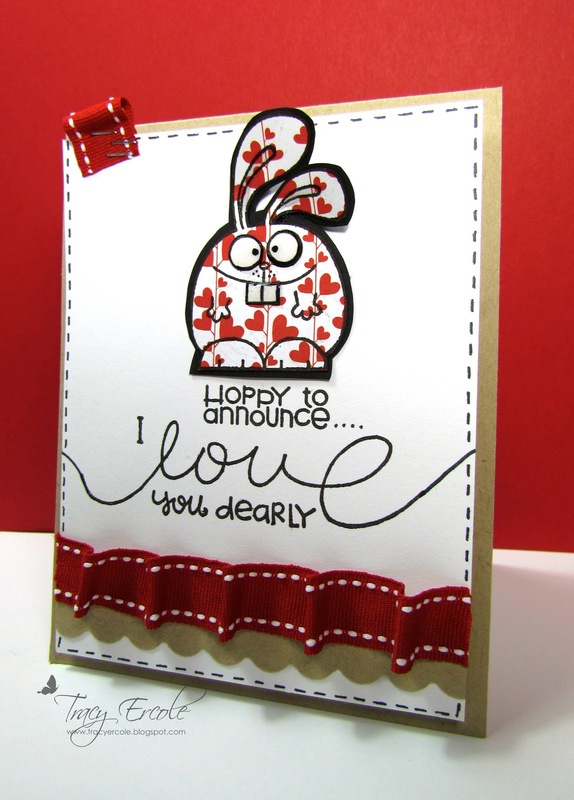 I used two Paper Smooches stamp sets to make the phrase, the pretty phrases set and a Little Lovin, I took the Hoppy to announce and the 'I' from I Love Roo along with the phrase from pretty phrases. I paper pieced the rabbit using paper from the Bo Bunny Crush Collection. aww this is way cute...great take on the sparks challenge.. Nothing beats an adorable, patterned bunny! CUTE and nice use of the SPARKS challenge. LOVE your card Tracy, it jumped out at me in the gallery (sorry no pun intended!) It's FAB!! LOVE your card! that patterned paper bunny is just too cute for words!! 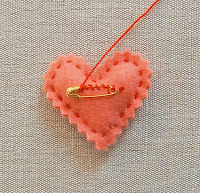 love the texture iwth the ribbon too!